What began with neo-nazis, white nationalists, and alt-right members marching through the University of Virginia with torches lit, chanting “blood and soil!” Friday night, ended with one woman and two state troopers dead after a violent Saturday afternoon. Friday night white nationalist organizations from around to the country descended onto Virginia to protest the ordered removal of former confederate general Robert E. Lee’s statue from Virginia State Grounds. When the white nationalist groups returned Saturday for the main “Unite the Right” rally, which was the largest white nationalist meeting in over ten years, according to the Washington Post, there were counter-protestors waiting to oppose their message. 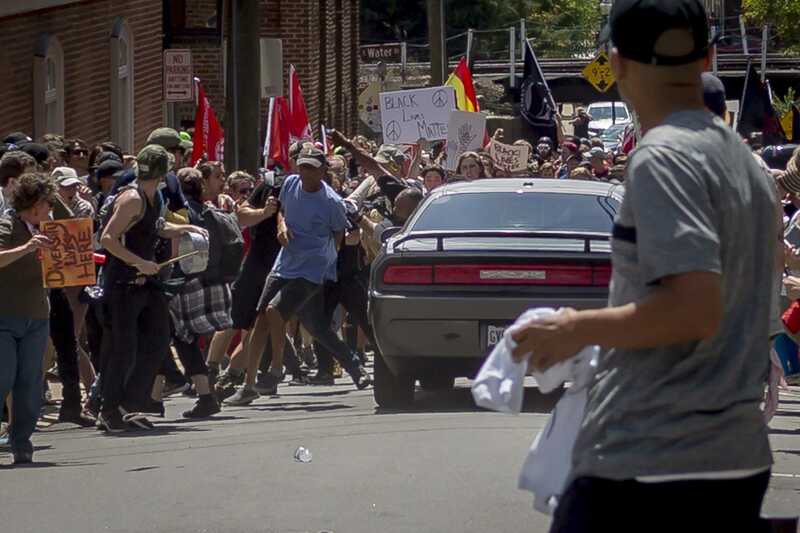 One woman was killed when a sports car rammed into a crowd of protestors at the Charlottesville Downtown mall. A spokeswoman for the University of Virginia Medical Center said that 19 others were treated for injuries related to the accident. Video shows the the vehicle plowing into the large group of protestors and then reversing as it fled the scene. The driver, identified as James Alex Fields, Jr., is being charged with second degree murder and multiple other felony counts. According to local media, the violence broke out before the rally began. White nationalists and counter-protestors reportedly engaged in brawls and members white nationalists attacked counter-protestors with pepper spray. Virginia Gov. Terry McAuliffe declared a state of emergency, while condemning the violence in a statement.“I am disgusted by the hatred, bigotry and violence these [white nationalist] protesters have brought to our state over the past 24 hours,” said McAuliffe. President Trump responded to the incident with a speech where he placed blame on “many sides” for the violence and bigotry that occurred Saturday in Charlottesville. Both political officials and regular citizens criticized Trump for not directly and vehemently condemning the actions of the white nationalist groups whose presence caused the violence.